Welcome to another edition of macro monday.. 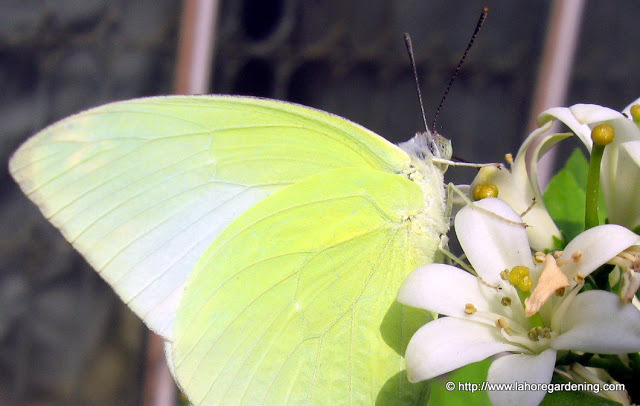 It is difficult to attract butteflies if you are growing plants in containers. But planting the right plants at right places is the key. It appears to be a trifle task to capture a butterfly but it is not. This is probably some white cabbage butterfly. Still trying to confirm the identification. Sipping nector from my murraya plant on terrace. Sometimes it takes hours capturing a butterfly. And the viewers are oblivious of the effort it is spent on the shot. Sometimes continuous shots are taken if butterfly is moving fast. Shutter speed matters a lot in this case. This one is another common butterfly of lahore. Just before rain she took shelter in the leaves. I searched with Google for your blog. 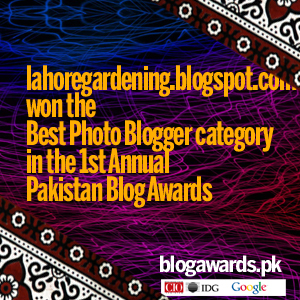 Please use your blog URL https://www.lahoregardening.com/ to sign in when joining us at TODAY’S FLOWERS event. Anyway I found you and love your pictures!! Great photos of the butterflies. Never have seen one of these…very cool wings! Beautifully composed photos, as always. I’m always in search of butterflies!! You did a great job capturing the beauty of these. 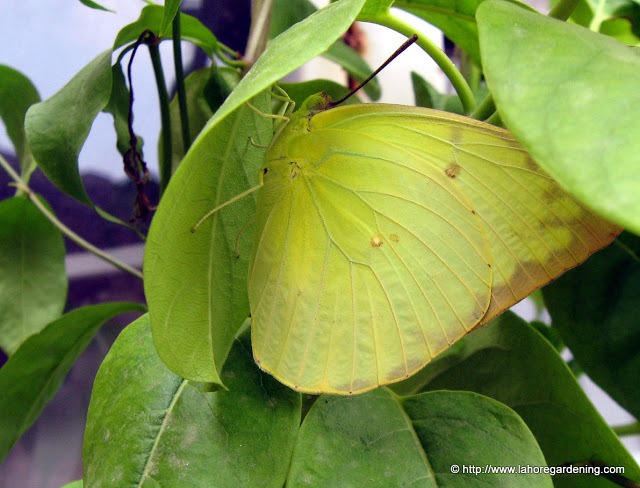 Wonderful photos of the butterfly! Nice colors! Very pretty….I was just watching one like this flit around our flowers the other day. My Macro is Nautical And I also added a bit about a new meme I’m inviting everyone; if you’d like to join in on the challenge. Come over and find out what day on which it will take place….join me? Hope your Monday is treating you well. LOVE the butterfly! Cool shot. Lovely photos of a pretty butterfly, though the name causes me to think that its caterpillar eats cabbage. I’m just starting to learn to identify butterflies and am finding out just how hard it is to get good photos of them. well, I sure appreciate these photos! Very nice details…love butterflies too…. You have not updated your blog from quite some time now. I guess it is because of the fasting month. I hope you are enjoying gardening and wish that all of your prayers are heard in the holy month.